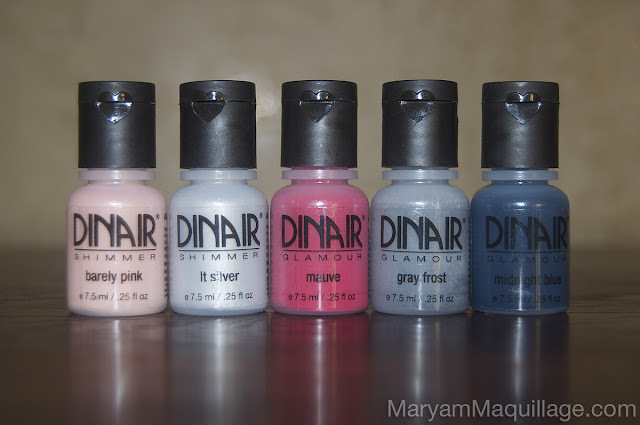 Maryam Maquillage: Dinair-brushed With Love: Makeup & News! Salut mes amis! I have some incredible news to share! 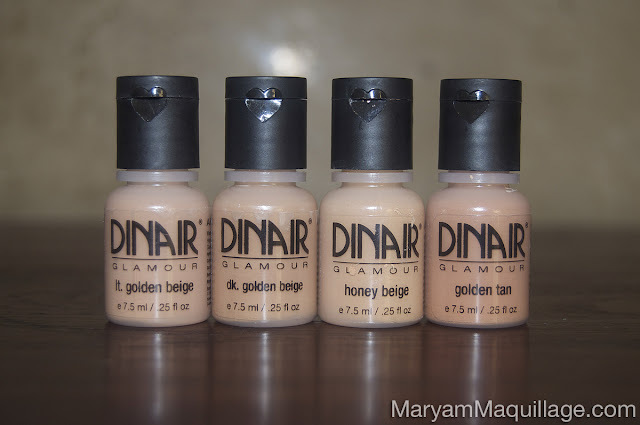 Maryam Maquillage has been nominated as one of the top bloggers in the emerging beauty blogger category in Dinair's Digital Beauty Awards! I've been following this passion for just over two years and this nomination is very touching and personal -- it feels like I've solidified my place in the beauty blogging world and I am so thankful for this amazing honor. I couldn't have done it without you guys and I feel like I've already won! If I'm chosen, I could win a trip to Hollywood and if you vote, you could win a Dinair Airbrush Kit valued at $300. I encourage you to enter and don't forget to tell 'em who sent ya ;) Vote Here or click the button below -- it's super easy and you're allowed to vote twice! & ENTER to WIN A Dinair Airbrush Kit! To celebrate this incredible honor, I've created a shimmery romantic smokey eye with complementary ombré lippies using solely Dinair makeup, and I've even put together a pictorial tutorial to walk you through the steps. I really like how the look turned out, so I hope you get to try it! Since my initial Dinair Airbrush System review, the brand has revamped the look of the compressors and redesigned the bottle caps. I'll go into those details in my follow-up Dinair review of the latest compressor. In the above pic, I'm holding my "pink panther" beauty -- I am just obsessed with her skin! For my winter complexion, I'm using equal parts of Dark Golden Beige and Honey Beige for my face (both from the medium range) and Golden Tan for contouring (tan range). Check out the new heart-shaped caps! Not only are they totally adorable, but they're much more precise than the old droplet caps. For today's look, I'm using my Dinair Personal / Pro Kit and the entire Winter Wonderland Color Collection plus Light Smoke -- one of my favorite glamour shades for brows and smokey eyes. Let's get started! Since Dinair airbrush makeup doesn't need any primers or base colors, I prepped the eye with a few light passes of Light Smoke glamour shade over my outer crease. I kept the airbrush about 2 inches away from my eye and rocked it back and forth while spraying. I used less than 2 drops for both eyes. Next, I added 2 drops of Gray Frost glamour shade and covered my entire lid area using the same technique. I also sprayed over my lashes while keeping the eye closed, to give a bit of smokiness to the lower lash line. 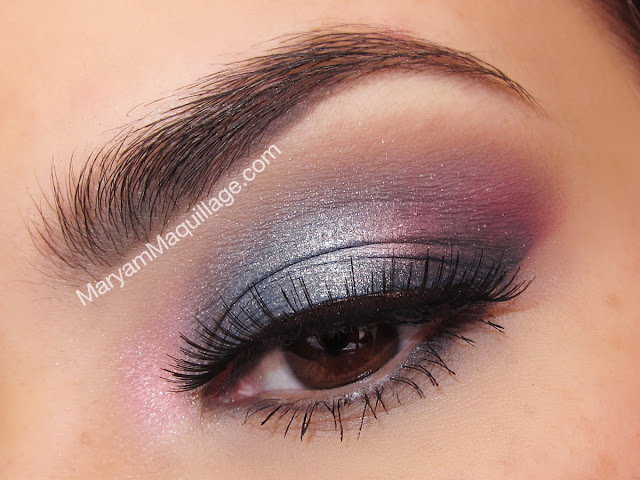 Using a brow shield to create a sharp outer edge, I darkened the outer "v" of the eye using Midnight Blue glamour shade. Using the the brow shield for guidance, I also "filled-in" my brows with a few passes of Light Smoke glamour shade -- I wanted to create a thicker, fuller brow to complement the eyeshadow. Next, I ran some water through the airbrush to clean the remnants of the darker shades and added 2 drops of Light Silver shimmer shade to the cup and covered the center of my lid and crease. When doing airbrush makeup, I never focus on one feature at a time. Instead, I let the colors guide me. 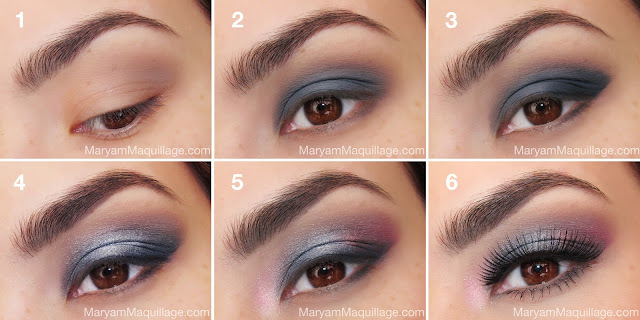 In this case, I was done with the blues and moved on to the pinks, spraying my lips and cheekbones with Mauve glamour shade and adding a bit of Mauve to the outer crease of my eyes. Next, I mixed in some Barely Pink shimmer shade and added it to my lips and inner corners of the eyes. With the eyes almost complete, I airbrushed my skin using my custom mixture and cleaned up the eye area with Light Golden Beige. I also used it as a highlight under the brow. I completed with look with two coats of Black Mascara (to cover the gray lashes that resulted from step 2) and added my favorite false lashes. I finished the look with Pink Ombré lips and this is where airbrush makeup really comes in handy: Gradients, ombré, blending etc. are a piece of cake and take little to no skill! 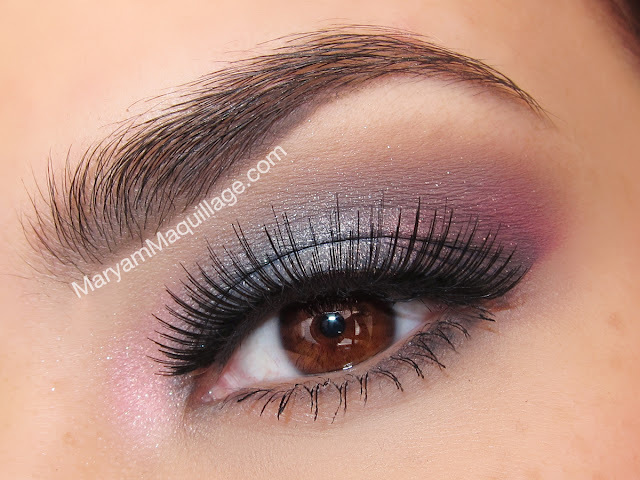 Two drops of Mauve glamour shade are more than enough for the initial base color. I sprayed my lips while smiling, keeping the airbrush 2 inches away. I added one more drop and outlined the shape, spraying one inch away from the skin. Keep in mind that the flow becomes more precise the closer you come to the target, so creating fine lines is actually quite easy. Next, I added 1 drop of Barely Pink shimmer shade and sprayed the center of the mouth, keeping the airbrush 2 to 3 inches away. Moving the airbrush further from the target creates a more dissolved application. I finished the look with a few sprays of Moist & Dewy Skin Finisher. 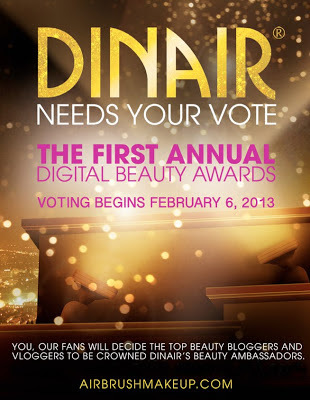 Don't forget to check out Dinair's First Annual Digital Beauty Awards -- VOTE for your favorite bloggers and vloggers and enter to win a pro / personal Dinair Kit! Good luck! i love the shape of your lips ... your face looks amazing! You will be the winner... Voted! just beautiful love the finishing look amazing! I just got here in your Blog, wonderful, wonderful post! Congratulations hun and good luck!!! This look is pretty and I never would have guess that it was all airbrush. Stunning as always!! !